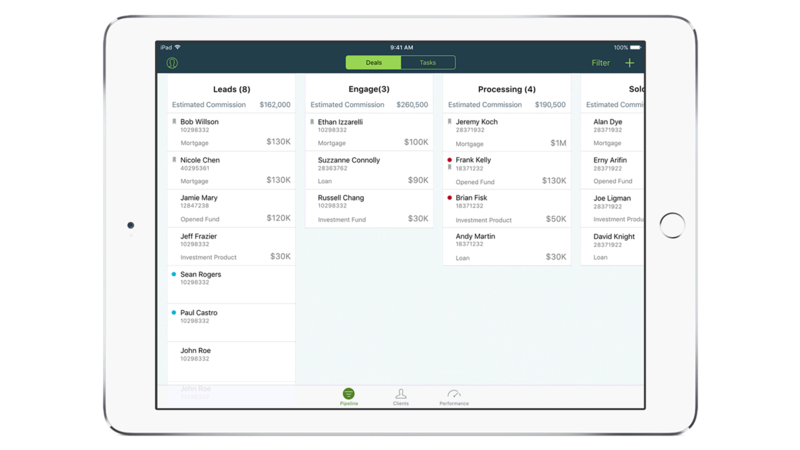 IBM MobileFirst for iOS Deal Hub gives bankers a view of their sales pipeline and their progress toward monthly targets. The app then provides recommendations of clients that are likely to help fulfill those targets. Deal Hub also tracks the progress of deals, notifies the user of needed follow-ups and seamlessly lets the user provide updates to a manager. See the progress that has been made toward each deal. Deal Hub provides a task list to prioritize and complete job responsibilities. Based on Deal Hub’s analytics, get recommendations and alerts to help close deals and fulfill targets.